So You Purchased a Foreclosed Home...Now What? You are at: Home » Home Staging & Moving » So You Purchased a Foreclosed Home…Now What? So You Purchased a Foreclosed Home…Now What? So you purchased a foreclosed home…now what? You finally achieved your goal, you have your home, you got it for the price you wanted, but what are your next steps? Are you planning to live in it, sell it, or rent it out? What kind of condition is it in? No matter what type of foreclosed home you buy, you will more likely than not, have to put in a good amount of hard work into the property. The first decision you will need to make is, who will be living in the house? There are different steps to take if you are planning to live in the house or if you are planning on selling it or if you want to rent it out. If you are planning to live in the foreclosed house, you can decorate it however you like but if you are planning to rent it, you will most likely want to decorate it for as cheap as possible. No matter what kind of condition the home is in, I would recommend getting it inspected. Even if you are planning to turn around and sell it immediately, a home inspection is always a good idea. A typical home inspector will look for things such as wood-destroying insects, water quality, plumbing issues, mold, radon, and anything having to do with the septic tank. If your plan is to sell your foreclosed home, once you get the house inspected, all you need to do is get it ready to be sold. 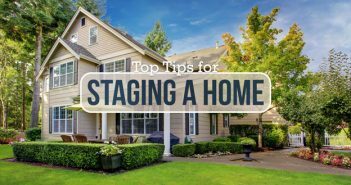 Staging your home to sell doesn’t have to cost an arm and a leg. 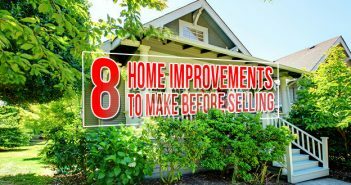 We even wrote a blog about how to stage your home to sell while working on a budget. The most important aspect to get your home to sell is for it to be clean, decluttered, and tidy. When you are planning to rent out the foreclosed home, you will have to worry about cleaning, decorating, and furnishing the house. Often, foreclosed homes are left in bad shape, so it may be necessary to hire a professional cleaning service. You can usually find local coupons or discounted prices for home cleaning services on sites such as Groupon and Living Social. Decorating and furnishing a home that you prepare to rent out, should not be too costly. Never buy super high-end appliances because renters typically do not take the best care of these things. Keep the decorating to a minimum because usually renters will want to do this part for themselves. Most importantly find renters that you can trust and who you know will not destroy your property. The real work comes into play when you are planning to live in the foreclosed home that you purchased. 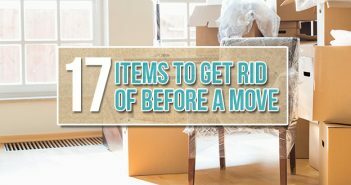 When you are getting a home ready to move in, no matter if it’s a foreclosure or not, there are many different things to take care of. You will first want to deep clean your home, this means wiping everything down, mopping, sweeping, and disinfecting. No one wants to live in a house with someone else’s germs. The most important part of purchasing your first foreclosed home is to be proud of yourself. You should be happy that you made a sound investment for yourself, no matter what you intend to do with the property. Have you ever purchased a foreclosed home? Please share your story with us in the comment section below!